Where else but New York can you get an appointment with the Official Dentist of Miss Universe? 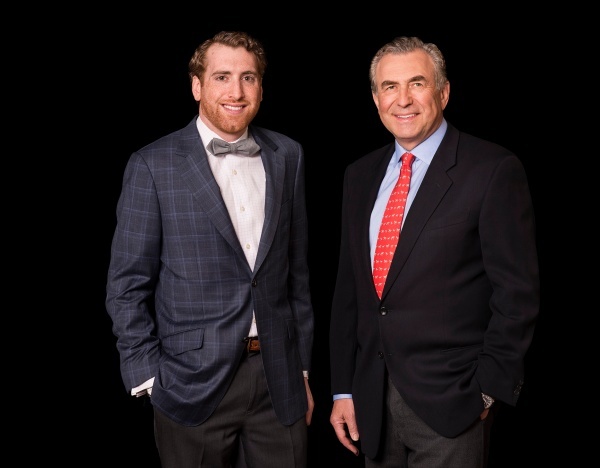 Linhart Dentistry is one of the premier dental practices in Manhattan, with Dr. Jan Linhart and his son, Dr. Zachary Linhart, leading a team of experts that offer a full spectrum of cosmetic and restorative dental services. Speaking of services, Linhart Dentistry has recently developed a new line of at-home dental products that will keep your smile bright. For a limited time, get a free trial of Linhart products sent to your home! The products in this package take good care of your mouth with state-of-the-art ingredients and dental technology. 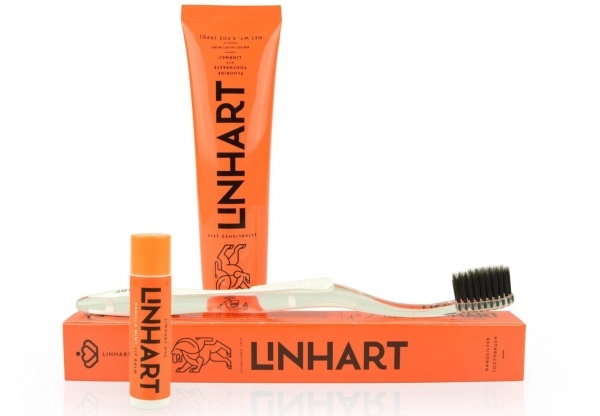 Your Linhart dental products will include a travel-size Linhart toothpaste, a Nano-Silver Toothbrush with silver-infused bristles, and a lip balm. All products come in distinctive tangerine packaging with the signature Linhart lion. Linhart specializes in oral care subscriptions. You can order the suite of Linhart products for yourself, you and a partner, or your entire family. You’ll get a new batch of products every two months. This way, you won’t have to worry about replacing toothbrushes and toothpaste at a store. The Nano-Silver Toothbrush from Linhart features antibacterial silver to ward off germs. Dual-length bristles target gums and hard-to-reach places between the teeth. It comes in two colors, one transparent with black bristles and the other orange with white bristles. Linhart toothpaste contains a trademark ingredient called Linämel™, which consists of theobromine, which naturally occurs in cocoa beans, fluoride, and xylitol. Theobromine strengthens enamel, fluoride prevents cavities, and xylitol prevents decay and helps maintain neutral pH levels in the mouth. The paste also contains aloe vera as a soothing, cooling agent. Linhart’s all-natural lip balm does away with the petroleum in other brands that dries out your lips. Their balm contains beeswax, extra virgin olive oil, and rosemary extract. It also has an SPF 15 to protect your lips from sun damage. The balm is available in spearmint and vanilla mint. Also available from Linhart is a unique whitening gel. The gel is meant to be layered on top of Linhart’s toothpaste before brushing your teeth. It incorporates hydrogen peroxide to whiten, rather than abrasive chemicals that permanently damage the teeth. The Linhart brand is a new extension of the Linhart legacy. Linhart products began as PearlinBrite in 2007. After ten years of development and testing, Dr. Linhart and his son released their new and improved line of oral care products last year. Your free trial will be included as part of a subscription plan for you, for two, or a family of four. But don’t worry, there’s no obligation to keep your subscription, which you can cancel at any time. If you want to try Linhart products, just click here and select the plan you’d like. No matter what, you’ll only have to pay $5 for shipping and handling for this deluxe toothbrush, toothpaste, and lip balm! For all subscription plans, Linhart will renew your batch of products every two months. The single subscription is $16 per renewal. Couples subscription is $45 (and includes one whitening gel!). The family subscription provides 4 of each product, plus 2 whitening gels, for $90 every two months. For more, visit linhart.nyc.